Over a pleasant dinner of roast duck and enough to drink, conversation over music aplenty, I requested a theme from our guest and it was quickly jotted down, a single melodic line. 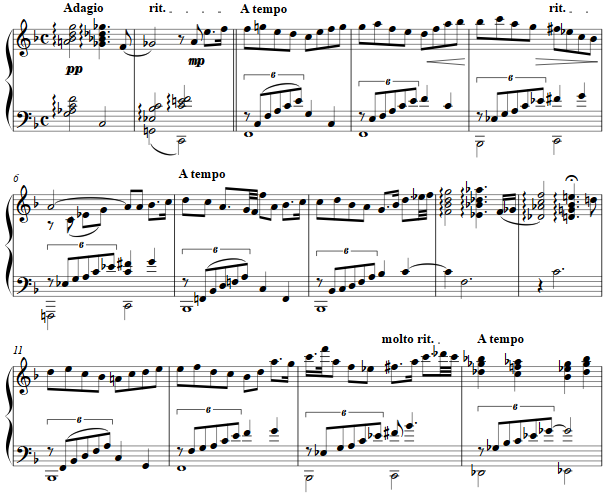 The next day, I fashioned this little rhapsody by adding an antecedent phrase and then fleshing out the repetitions and variants. What shall the melody be called, I asked, and as he left, came the reply.